Memory Snow takes place after Subaru and friends defeat the Demon Beast Wolgarm, the source of the curse, and save the children of Irlam village. The characters finally get a moment of peace, and Subaru goes on a certain secret mission that he must not let anyone find out about. However, even though Subaru is wearing a disguise, Petra and other children of the village immediately figure out who he is. Now that his mission was exposed within five seconds of it starting, Subaru's "date course" with Emilia could be ruined. 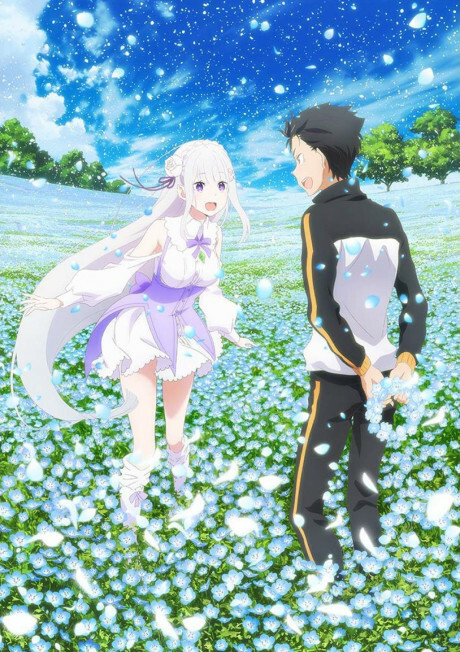 Hyouketsu no Kizuna adapts the original Re:Zero Kara Hajimeru Zenjitsu-tan: Hyouketsu no Kizuna prequel novel which tells the story Emilia and Puck's meeting.